Gandhi Smriti Museum, also known as Gandhi Smriti, is a museum dedicated to the father of the nation Mahatma Gandhi. Situated on the Tees January Road in New Delhi, Gandhi Smriti Museum was formerly known as Birla Bhavan or Birla House. Birla Bhavan is the place where Gandhi Ji spent the last 144 days of his life and was assassinated by Nathuram Godse on 30th January 1948. Originally the house of Birlas, the Indian business family, it is now known as the Eternal Gandhi Multimedia Museum. The revamp of the museum happened in the year 2005 and is situated near the Gandhi Samadhi at Rajghat. 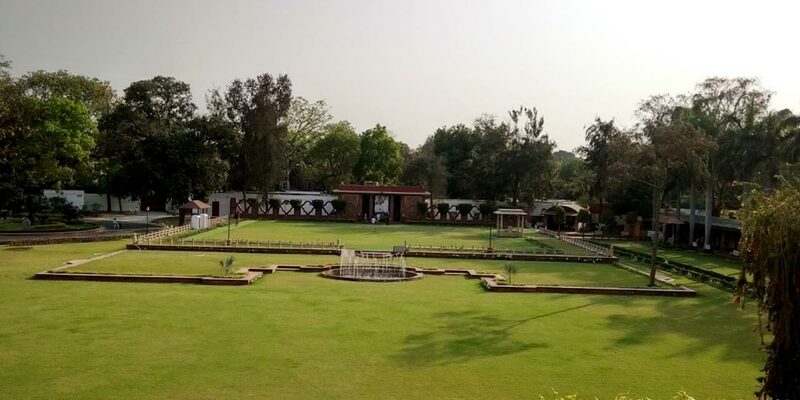 The museum contains personal documents, photographs, journals, books, relics, manuscripts and audio-visual material related to Mahatma Gandhi’s life and philosophy. To highlight the Khadi movement initiated by Gandhi Ji, the museum also houses a shop of khadi and village industry products. It is worth mentioning here that various national and international filmmakers have made films on the life of Mahatma Gandhi. These films are being showcased in the museum to give a glimpse of the life Gandhiji had lived. The Gandhi Smriti Museum has been built in the Birla Bhavan, by industrialist Ghanshyam Das Birla in the year 1928. The building comprises of 12 bedrooms. Dignitaries like Sardar Patel and Mahatma Gandhi were the frequent visitors to the place, because of their friendship with the Birlas. Mahatma Gandhi had his final stay in the Birla Bhavan. He stayed there for 144 days between 9 September 1947 to 30 January 1948, before he was assassinated on 30th January 1948. It was after Gandhi Ji’s assassination that Pandit Jawaharlal Nehru had written to Ghanshyam Das Birla to convert a part of his house as Mahatma Gandhi’s memorial. However, Birla was reluctant to part ways from the house, that had a lot of memories attached to it. Then, the Government of India purchased the Birla House from industrialist KK Birla in 1971. The negotiation between the Birlas and the government was tough and they ended up including the cost of fruit trees also that were in the campus. Eventually, the house was sold for Rs 5.4 million and seven acres of urban land in exchange. This was a highly profitable deal for the Birlas. The Birla House was finally open for general public on 15th August 1973 and was renamed as Gandhi Smriti. It houses a collection of articles related to Gandhi ji’s life and death. Visitors can see the room where Gandhi had lived and the place where he was shot. Mahatma Gandhi was shot by Nathuram Godse while he was offering prayers. The place has been converted into Martyr’s Column now. The Gandhi Smriti Museum is situated on Tees January Road, barely five kilometers away from Connaught Place in New Delhi. There’s a Swastik Pillar that stands out of the house, signifying the changes that have come in the meaning of the symbol in the 20th century in the West. The pillar contains the meditation sound of Om as well. Gandhi Smriti is open to visitors from 10 AM to 5 PM on all days except Mondays and national holidays. There is no entry fee to visit this place. By Bus: There are a whole lot of DTC buses connecting the Gandhi Smriti to the rest of the city including, 522, 610A, 544, 181, 620 and 610. By Metro: Lok Kalyan Marg metro station, Udyog Bhavan Metro Station and Khan Market Metro stations are the nearest to Gandhi Smriti. By Auto/Cab/Taxi: Delhi is a well connected city when it comes to autos, taxis and cabs. One can call Cabs by apps like Uber and Ola and autos with apps like Ola and Jugnoo. You can also find them running on the road, easily available for quick travels. If you are a true Gandhi fan, do take some time out while you visit the place. There’s a lot for you to ponder upon. The movies playing in the museum attract a lot of young crowd. Don’t forget to buy some original Khadi stuff from Gandhi Smriti. That’s the best memory you can take home and the best tribute you can pay to Gandhi Ji.